The USBC Directory is the Largest Black Business Directory in the world. 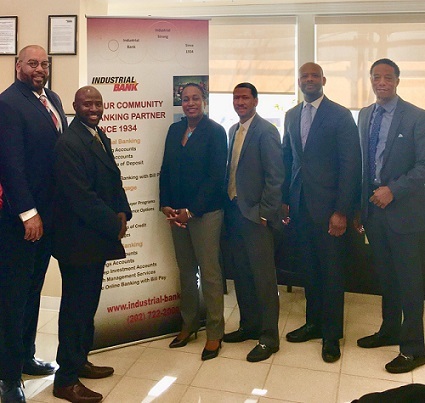 Through a collaboration with the United States Black Chambers, Inc. and the initial drive of Millions Two One, black business owners now have global exposure, along with an opportunity to become a member of "The National Voice of Black Business!" When company founder, Brian Morse started the company known as Millions Two One, it was his goal to not only watch the company grow, but to also offer effective marketing tools for entrepreneurs. After an extensive online search for a national black directory in 2008, he located one defunct website. "Someone needs to create a Black business directory," he thought. Fast forward to July 2013, Morse was in Miami on the day a now infamous verdict was announced. "I lost my appetite when I heard the news of the exoneration of George Zimmerman," Morse reflected. "There are many successful individuals in our community, but the rest of our community lies in shambles. Young men are shot down daily. We really need to do something; I realized that I needed to do MORE!" Morse then began to establish the Black directory known as Millions Two One. "We have seen companies receive as much as a 2,000% return from being listed on the USBC Directory." In June of 2016, discussions began to form a collaboration between Millions Two One and the US Black Chambers, Inc. The US Black Chambers, Inc. is headquartered in Washington, DC and has 135 member chambers across the nation. "I learned that the U.S. Black Chambers was looking to expand their directory of Black-owned businesses," Morse states. He shared with them how a collaboration would enhance their efforts, and the USBC Directory was launched. The USBC Directory mobile app allows users to locate Black businesses with their gps locator in the United States, Africa, Canada, Caribbean Islands and in the United Kingdom. Visitors from over 132 countries world-wide have used the USBC Directory and as many as 100,000 visitors frequent the USBC Directory each month. "When you list your business on the USBC Directory, you expose your business to this audience!" stated Morse. From left to right: Jason Henderson of Ergo Solutions, Brian Morse of USBC Directory, Jacqueline Boles of Industrial Bank, George Brownlee of Ergo Solutions, Olu Ezeani of Ergo Solutions and Courtland Wyatt of Ergo Solutions. Ergo Solutions, a US Black Chambers' President Circle Member is meeting with Industrial Bank to create a banking relationship. "We have seen companies receive as much as a 2,000% return from being listed on the USBC Directory. We connect new businesses to our affiliate chambers and partners across the country. We do everything that we can to place our businesses in front of consumers. We work tirelessly to put them in front of people that would like to patronize their business," Morse expressed passionately. "We want to be the home and go-to place for individuals looking for black owned businesses, events, organizations, news and articles. Black culture has awakened to the reality that we must have economic power and that power is gained through growing and supporting black owned businesses," discussed Morse.